Hmm, I immediately thought that it sounds like an app a gay friend of mine told me about several years ago that alerts him when there’s another gay person in the room. When I heard about that app, called Grindr, I remember thinking that it could be good and bad – really bad if someone’s motivations are cruel. After all, if the Yenta app, like the Grindr app, gets in the wrong hands, it’s only too easy for the wrong person to be able to identify Jewish people in the near vicinity. But, I’m willing to put that neurotic thinking aside and look at the Yenta app for its intended purpose – helping Jewish singles find other Jewish singles to date. 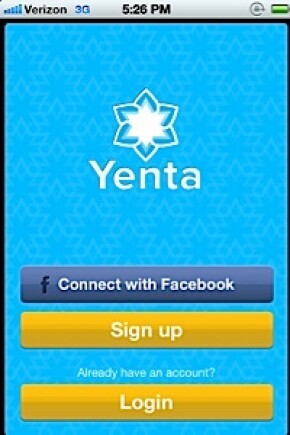 In theory, such technology already exists to locate one’s connections when they’re nearby, but Yenta helps identify would-be connections based on a matchmaking algorithm. The app uses two trendy words to describe its objective: “serendipitously” and “instantaneously”. Everyone wants their initial meeting with their soul mate to be a serendipitous event and this younger generation craves the instantaneous nature of things. The app serves the job of the informal matchmaker who has a knack for introducing two suitable singles at a party. Once users download the app, they create a brief personal dating profile by answering simple questions like “What’s your shtick?” (i.e., current status? ), “What will impress your mother?” and “How Jewish are you?” Once registered, Yenta displays the profiles of other active members in the current vicinity using the same criteria. So long as the app is used by well-intentioned Jewish singles and not people with more sinister plans, I think it’s a worthwhile download. 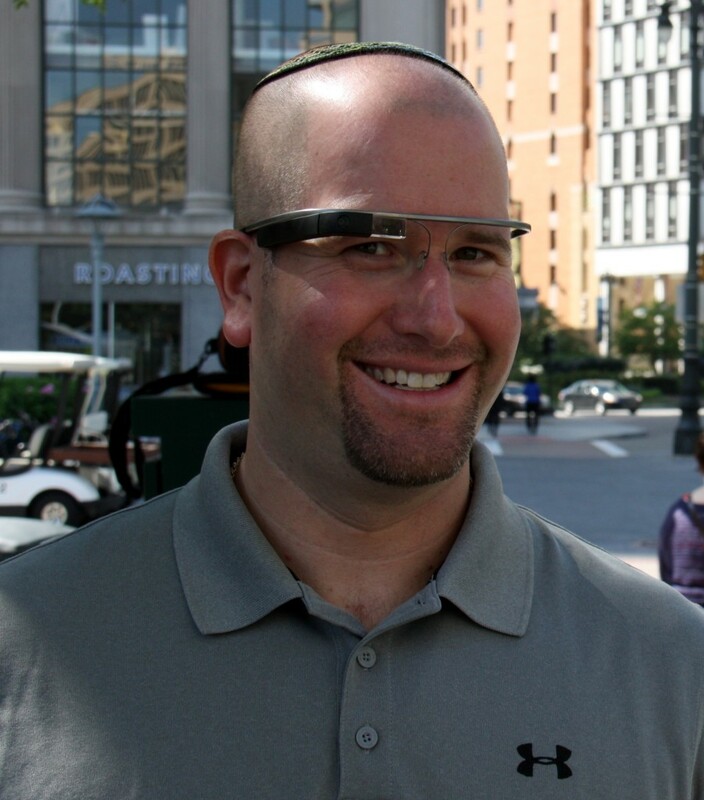 Perhaps in the future, it will be adapted to appeal to a broader audience as well – like Jewish dads who like to talk baseball and fatherhood with other like minded Jewish dads or Jewish women in the insurance industry looking for networking opportunities. Without such a GPS-enabled app, imagine how many “serendipitous” chance encounters we’ll be missing.